The Political Communities of Migrants: De-Territorialised Diversity and Political Integration in Host Countries: This session expands RECODE’s focus on the emergence of transnational communities and the institutionalization of diaspora politics to also include the extent of political integration of migrants in their new host country. Linguistic Diversity and Political Communication: The purpose of this section is to assess to what extent a common public sphere has to be based upon one common language. It will compare the European experience, where the consolidation of nation-states was reached at the expenses of linguistic minority groups, with Canada, which was built from the beginning on the basis of an agreement between two distinct linguistic communities. Religions and the Public Sphere: Accommodating Religious Diversity in the Post-secular Era. The aim of this section is to explore the changing relationship between the religious and the political spheres in democratic societies. The underlying hypothesis is that, against the prevailing Weberian idea of modernization as religious “disenchantment” of the world, we are facing a profound change in the functional parameters of religion. Solidarity beyond the Nation State: Diversity, Solidarity and Redistribution. This section addresses critical questions facing western democracies. How can we maintain and strengthen the bonds of community in ethnically diverse societies? How can we reconcile growing levels of multicultural diversity and the sense of a common identity which sustains the norms of mutual support and underpins a generous welfare state? Roundtable: Future Directions and Collaborations. The final discussion will be launched by four research leaders, two from the RECODE network and two from important networks in Canada. Jane Jenson, Department of Political Science, Université de Montréal. 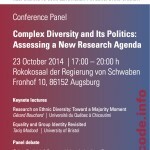 Peter Kraus, Political Science and Institute for Canadian Studies, University of Augsburg. Keith Banting, School of Policy Studies, Queen’s University. Chair : Oliver Schmidtke, Department of Political Science, University of Victoria and co-lead, TRG Immigration and Social Policy, Canada-Europe Transatlantic Dialogue. Gianni D’Amato, Swiss Forum for Migration and Population Studies, Université de Neuchâtel. Download presentation: D’Amato Montréal 12-09-13. Stephen White and Antoine Bilodeau, Department of Political Science, Concordia University. Download presentation: White & Bilodeau Montréal 12-09-13. Discussant: Victor Satzewich, Department of Sociology, McMaster University. Chair: Lawrence McFalls, Department of Political Science, Université de Montréal. Donna Patrick, Department of Sociology and Anthropology, Carleton University. Download presentation: Patrick Montréal 12-09-13. Peter A. Kraus, Political Science and Institute for Canadian Studies, University of Augsburg. Download presentation: Kraus Montréal 12-09-13. Discussant: Martin Papillon, School of Political Studies, University of Ottawa. Chair: Magdalena Dembinska, Department of Political Science, Université de Montréal. Francisco Colom González, Centre of Human and Social Sciences, Spanish National Research Council. Download presentation: Colom González Montréal 12-09-13 . Avigail Eisenberg, Department of Political Science, University of Victoria. Download presentation: Eisenberg Montréal 12-09-13. Discussant: Jocelyn Maclure, Faculty of Philosophy, Laval University. Chair: John Erik Fossum, ARENA Centre for European Studies, University of Oslo. Keith Banting, School of Policy Studies, Queen’s University. Download presentation: Banting Montréal 13-09-13. Grete Brochmann, Department of Sociology and Human Geography, University of Oslo. Download presentation: Brochmann Montréal 13-09-13. 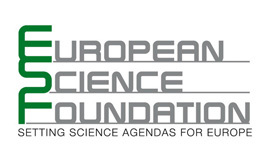 Francisco Colom González, Centre of Human and Social Sciences, Spanish National Research Council. Jane Jenson, Department of Political Science, Université de Montréal and co-lead, TRG Immigration and Social Policy, Canada-Europe Transatlantic Dialogue. Peter A. Kraus, Political Science and Institute for Canadian Studies, University of Augsburg. Alain Noël, Department of Political Science, Université de Montréal and President, Centre d’études sur la pauvreté et l’exclusion (CEPE). 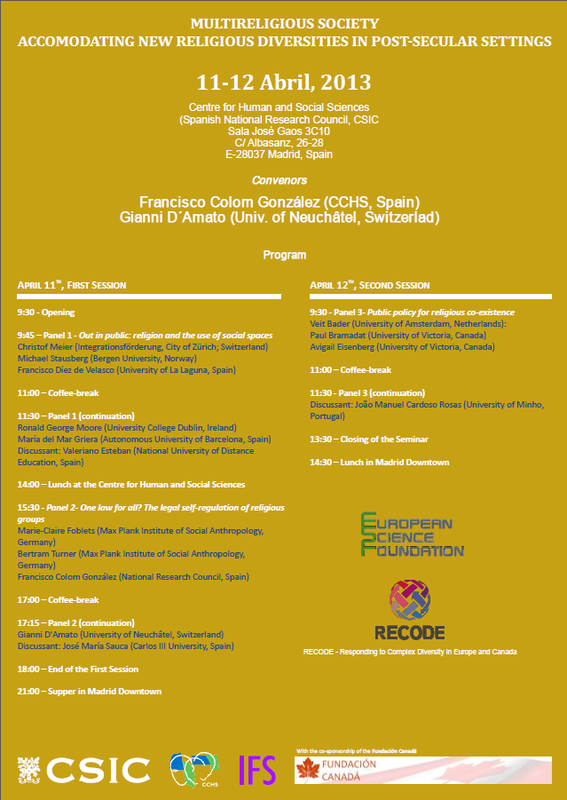 The workshop will explore a central issue of RECODE, namely the role of diversity with particular emphasis on the notion of transnational communities. Politics has traditionally been conceptualized and organized along territorial lines but the confluence of globalization, cosmopolitanisation and Europeanisation have given new impetus to the development of transnational communities. 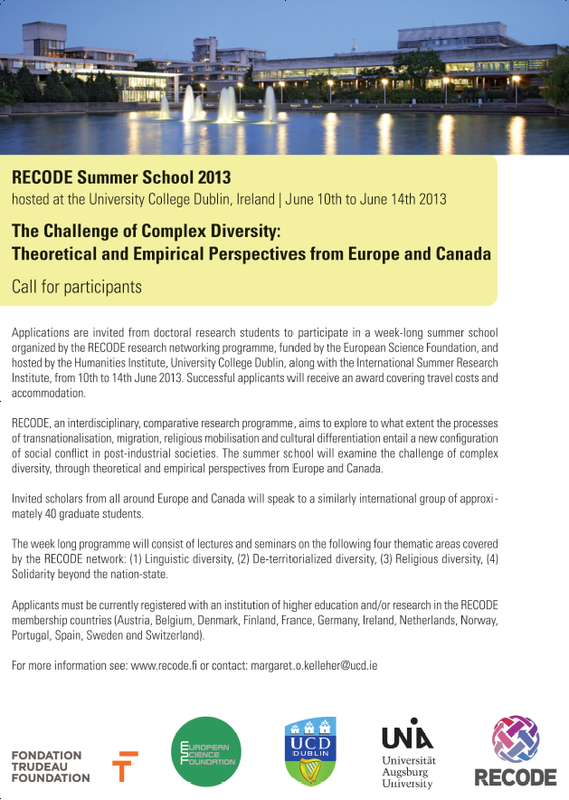 The workshop seeks to understand the nature of this phenomenon; how prevalent it is in the EU and Canada; what the implications are on minorities and systems of governing; and the nature and strength of nationalist reactions. The workshop is thematically organized to address these themes. Session 2 – A new power relationship between minorities and states? In conventional approaches, modernisation was conceived of as intrinsically connected to secularisation, i.e. as a process in which the religious foundations of political power would be increasingly replaced by alternative and secularised forms of legitimacy. Accordingly, cultural change in modernising societies would induce the privatisation of religious belief, diminish collective religious practice and push for secularised moral and political references. Even in the largely secularised Canadian and European contexts the debate about secularism in the collective self-perception of society, in relation to the display of religious symbols in public spaces, or about the accommodation of ethno-religious minorities, has strongly re-emerged, sometimes around ethnic and multicultural issues. The thesis of modernisation as secularization has therefore undergone a thorough revision in the social sciences without reaching an alternative consensus on the possible meaning of post-secularism. The aim of this workshop is to gain a broad view on the shifting issues and cleavages that have shaped the public management of religion in Europe and Canada. Accordingly, the seminar will be organized around three main themes: 1) The secularization thesis under review; 2) The relations between state-building and religion; and 3) The accommodation of new religious minorities. 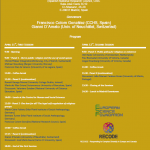 Session 1 – Secularisation and State-Building: A Conventional Path to Modernity? The event will be followed by a reception (19:00-20:00). The workshop will explore the key issues of language politics in European democracies, contrasting these with the Canadian experience. It will focus on how political integration can be achieved in the context of institutional settings committed to maintaining linguistic diversity. The workshop sessions are structured along three major thematic lines: 1) Linguistic diversity, nation-building and nationalism, 2) Language, transnational integration, and Europeanization, and 3) Language and the politics of immigration. 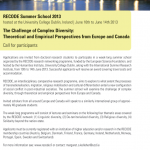 Linda Cardinal, Canada – Language Regimes in Canada and in Quebec: From Competition to Collaboration?